Weddings | Three Cheers Pub Co: a small collection of handsome London pubs | Three Cheers Pub Co. If you are looking for an elegant London wedding, Three Cheers Pub Co have the venue for you. We have beautiful private rooms, handsome bars, sophisticated dining rooms, outstanding gardens and even our own wedding license allowing you to enjoy your big day from start to finish. 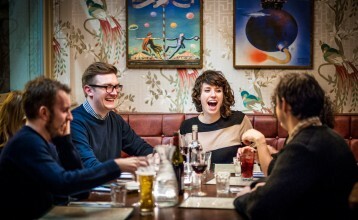 We serve simple, seasonal and sustainable food, as well as excellent ales, award-winning wines and innovative cocktails. Our experienced managers will be on hand to help you create bespoke food and drinks menus that start from as little as £27.50 per person for three courses. If you’d like help with other elements of your wedding, such as flowers, entertainment and photography, please do ask as we would be delighted to help you create your very special day. Please email [email protected] to discuss your individual requirements. 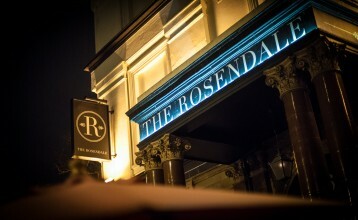 The Rosendale exudes a quiet sophistication. Set in the heart of West Dulwich, there are three gardens, two private rooms and a stylish bar with adjoining dining room – all of which can be used depending on the size of your wedding. We have our own wedding licence and host up to 50 weddings a year here so are well versed in helping you create the day you have always dreamed of. 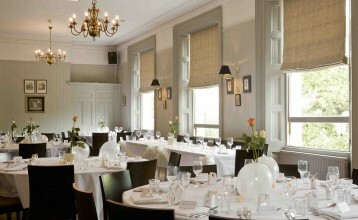 If you are looking for an elegant but understated wedding in west London, The Princess Victoria is perfect. We have a stunning private room, a large bar with adjoining dining room, a front terrace and rear courtyard garden, all of which you can utilise. There are five boutique bedrooms upstairs for key members of the wedding party and we also have an all-important wedding licence. If you are searching for stunning wedding venue in the heart of south London, The Bedford is for you. We have a beautiful Ballroom, Cocktail Bar, adjoining Private Dining Room and Mezzanine upstairs plus a handsome Pub, a Saloon Bar, Club Room and Yard, all of which you can have access to. The Bedford also has fifteen luxurious hotel rooms, making it the perfect place for the bride to get ready, for couples to start their married life together or for your favourite guests to stay and carry on the party.